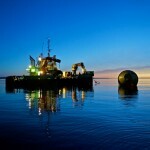 CorPower Ocean are a Swedish wave energy developer. Since 2013, CorPower have tested multiple small scale prototypes in Portugal, France and Sweden. 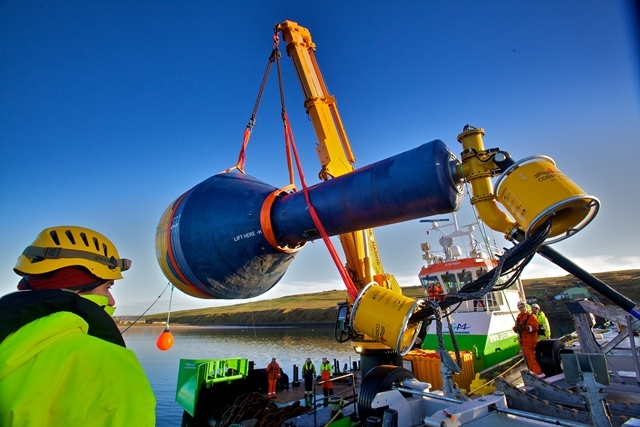 In 2016, CorPower signed up to test their novel resonant wave energy converter (WEC) at EMEC’s scale test site in Scapa Flow, having been successful in Wave Energy Scotland’s Stage 3 Power Take-Off call. 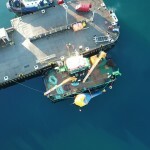 Throughout 2017/18, CorPower’s technology was taken through a programme of structured verification guided by best practice support from EMEC, alongside the experience from offshore power generation company Iberdrola Engineering, the University of Edinburgh, and WavEC Offshore Renewables’ expertise in cost and performance modelling. 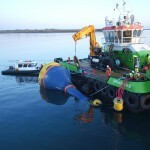 The project involved a rigorous 18-month test programme, beginning with onshore power take-off tests in Sweden using a bespoke hardware-in-the-loop test rig (enabling CorPower to test a full range of wave loads), and culminating with ocean testing at EMEC’s scale test site at Scapa Flow in Orkney in 2018. EMEC oversaw the dry and wet testing of the machine, ensuring strict quality management and quality assurance of the verification process and provided Performance Statements for both stages. 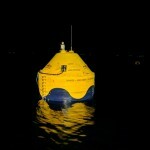 €6.5 million has been invested in the Stage 3 programme by InnoEnergy, the Swedish Energy Agency and Wave Energy Scotland, with another €4 million contributed by the European Commission’s H2020 WaveBoost project to develop the PTO further now that the WES Stage 3 programme has been completed. 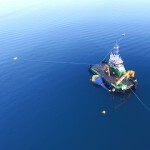 The deployment of CorPower’s C3 WEC at EMEC was also supported by the Interreg NWE FORESEA project, which enables free access to EMEC’s test facilities. CorPower are leading the WaveBoost project – a three-year Horizon 2020 funded project aiming to instigate a step-change improvement to reliability and performance of wave energy converters through the development and validation of innovative Power Take-Off (PTO) technology. 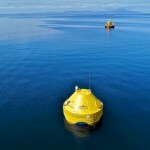 The project will demonstrate innovative end-stop and power smoothing technology expected to further improve the survivability and reliability of resonant wave energy converters. WaveBoost project partners include: CorPower, EMEC, EDP Innovação SA, PMC Cylinders, GS Hydro, The University of Edinburgh, WavEC Offshore Renewables, and The Research Institute of Sweden (RISE).